Shares of ITC hit a six-month high of Rs 305, up 3 per cent on Friday, extending its previous day’s 1 per cent gain, on the back of heavy volumes on the BSE. The stock was the top gainer among S&P BSE Sensex, which was up 0.44 per cent at 38,775 level at 02:28 pm. The trading volumes on the counter jumped more than five-times with a combined 20.68 million shares changing hands on the NSE and BSE, till the time of writing this report. The stock was trading at its highest level since September 24, 2018. It is 6 per cent away from its 52-week high level of Rs 323, touched on September 3, in the intra-day trade on the BSE. Last month, ITC had increased prices of three brands by about 7 per cent to 14 per cent. ITC's cigarette volume growth (7.5 per cent YoY) was healthy during Q3FY19 leading to a sales value growth of 10 per cent YoY. However, the lack of price hikes led to a 50bps YoY drop in cigarette EBIT (earnings before interest and tax) margin to 70.1 per cent and 9 per cent YoY growth in cigarette EBIT. Analysts at Antique Stock Broking believe that ITC is well-poised to witness a continued improvement in performance, going ahead. The brokerage firm channel checks suggest buoyancy in ITC's cigarette volumes during 4QFY19, led by growth in 64mm cigarettes. Consequently, coupled with estimated effective cigarette price hikes of 2.5-3 per cent during Q4FY19, ITC's cigarette business is expected to post double-digit EBIT growth during the quarter. "We believe that recovery in ITC's cigarette EBIT growth could lead to better earnings growth and a re-rating in stock valuations," the brokerage firm said in a company update with target price of Rs 356 per share. Analysts at Jefferies expect FY20 to witness around 10 per cent tax increase in cigarette which would result in around 8 per cent blended price hikes by company resulting in around 12 per cent cigarette EBIT growth. 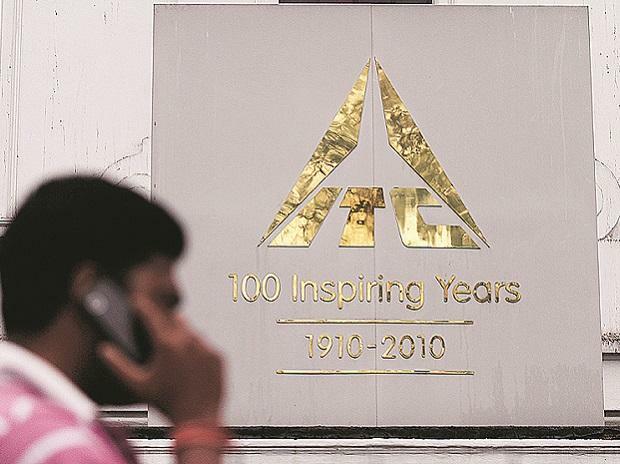 A moderate taxation increase (up to 10 per cent) in FY20E should help ITC stock re-rating, as volume impact could be absorbed in high single-digit price hikes. Other FMCG businesses have seen healthy performance from packaged foods and select personal care categories. FY19 saw margin improvement (EBITDA margins now in mid single digit) despite gestation costs in new categories like juices, dairy, chocolates etc. In terms of other segments, we expect a gradual improvement trend in hotels and paper to continue in FY20 as well, the brokerage firm said in February 28, 2019 report.